After an estimated 104 hospital admissions for asthma and probably 10 times that number of IV sticks, I have no peripheral venous access left. A half a century of IV steroids has rendered my veins useless. The only place they can get lines in, are in my knuckles and toes. 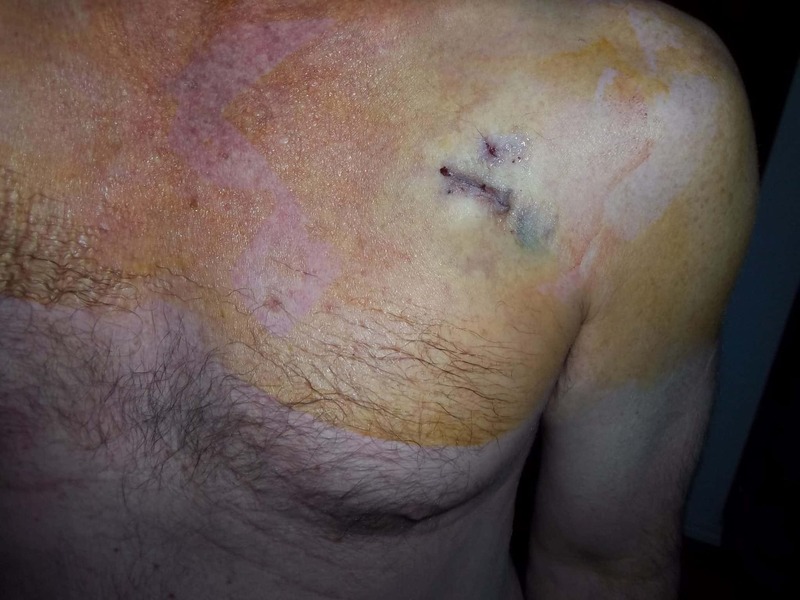 So rather than endure hours of torture every time I have to go to the hospital, or risk having a vein blow when its needed the most, we decided it was time to have a VAP Venous Access Port (VAP) put in. 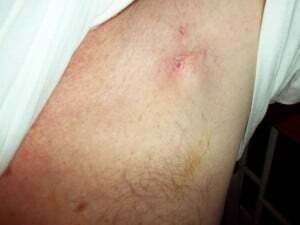 Unlike PICC lines where the ports dangle on the outside of the body, VAPs are implanted under the skin. 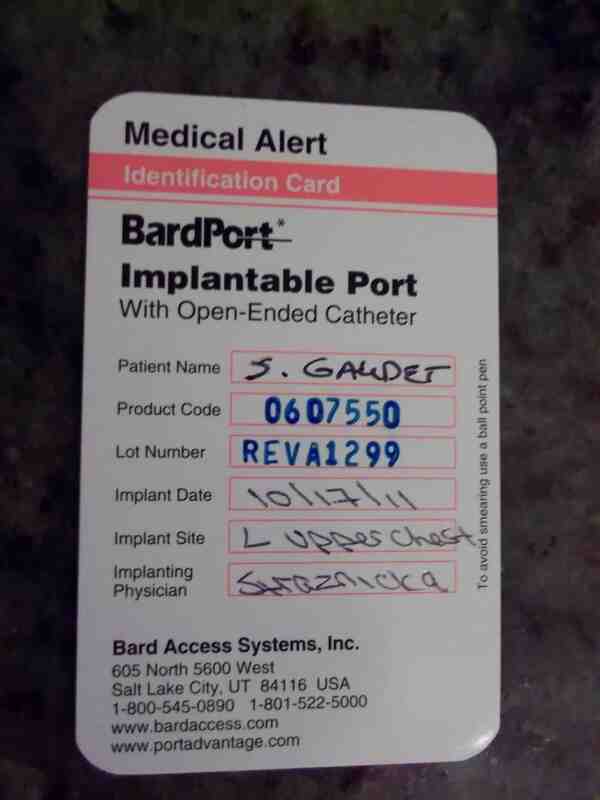 This protects the port and makes it more comfortable for the patient. Because there are no dressings or anything hanging from your body, you can run, swim or do just about anything you did before. Placement of the device is usually done by a Thoracic or Vascular surgeon under light sedation and takes about an hour. Mine was placed in my upper chest and is connected to a tube that feeds directly into the subclavian vein underneath my left clavicle. Whenever they need to start an IV on me, they simply pierce the skin over the port area with a special needle, and presto, instant IV access! 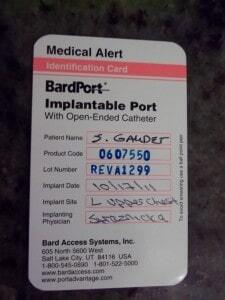 Of course there’s always an increased risk of infections with any type of indwelling catheter, so extra precautions have to be taken when accessing the port. They usually have specially trained Nurses who do this. Additionally, the port has to be flushed every 4-6 weeks to prevent it from clogging up. This means a monthly trip to the infusion center at the local hospital, which for me is totally worth the hassle. Pingback: - I blame my asthma for the scarring in other parts of my body.